Editor’s note: The following item is republished with permission of Realtor.com. 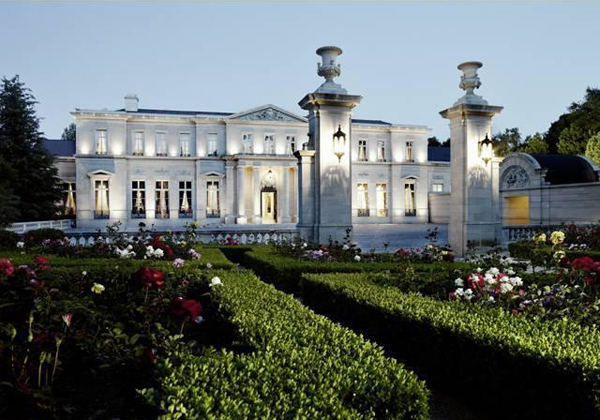 See the original article: Count Your Millions: Five Most Expensive Homes Currently For Sale. 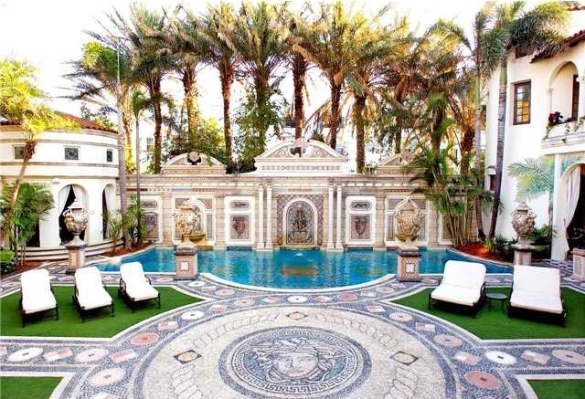 The recent listing of the late Gianni Versace’s luxe estate, Casas Casuarina, has once again drawn our attention to the fine, fine homes that the majority of us will never be able to afford. 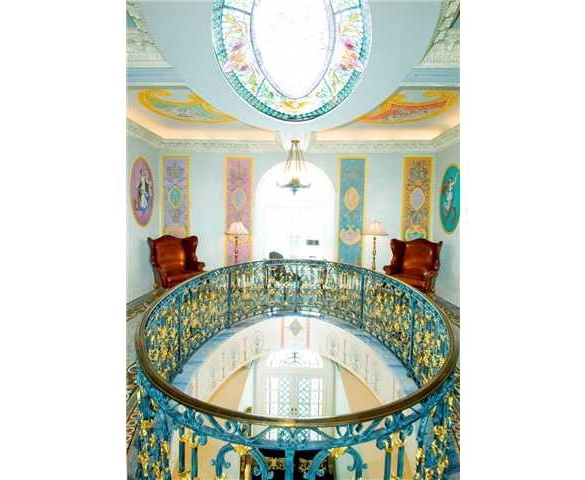 So count your millions, children, because we’re going on a ride down Fat Cat Real Estate Lane to check out the richest homes currently on the market in the U.S.
Versace’s mansion is pretty surreal. The type of home you dream about — and then awake to find you’ve been billed at a rate of two gold nuggets per hour for said dream. From the palatial courtyards to the 54-foot pool lined with 24-karat gold to the many hand-painted frescoes that adorn the walls, it’s crystal clear that gawking at its photos is as close as we come to its rarefied reality. 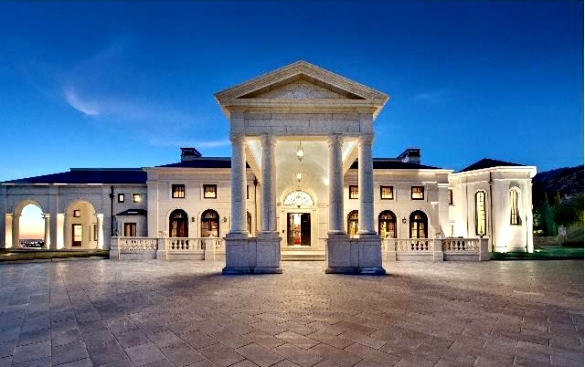 But how does the greatness of this property compare to what else is on the market, you ask? Apparently, its greatness is, well, pretty darn expensive. And by expensive we mean gold-nugget-in-the-sky expensive. Indeed, at a blazing-hot $125 million, Casas Casuarina ties for the top spot as the most expensive house currently on the market in the United States. Here is a breakdown of the top five, ranging in order from filthy, gold-trimmed-swimming-pool rich to 45-foot-ceiling rich. Casas Casuarina in Miami Beach, Fla. 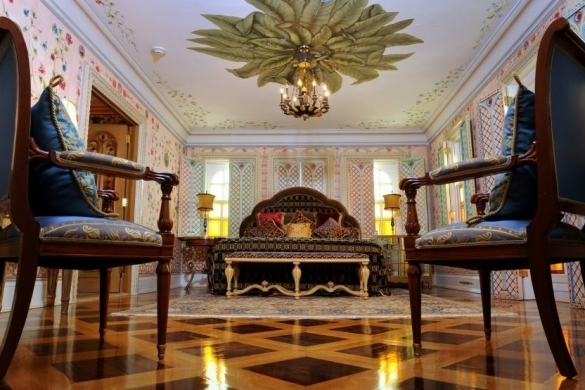 The Rundown: 10 bedrooms, 11 bathrooms and over 23,400 square feet of living space, chock full of lavish decorations. Uber-Luxe Feature: Pool lined with 24-karat gold that’s more absurd than most people’s wildest dreams. Fleur de Lys in Los Angeles, Calif. The Rundown: A Vaux-le-Vicomte-inspired estate measuring more than 45,000 square feet built by David Saperstein for his then-wife, Suzanne. 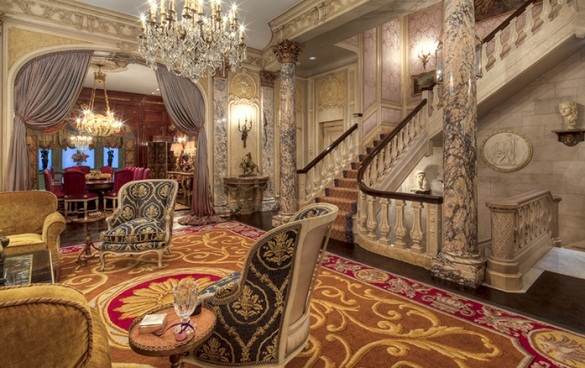 Twelve bedrooms, 15 bathrooms and luxury amenities including a formal ballroom, film screening room, three-quarter-mile jogging track and much, much more. Uber-Luxe Feature: What Versailles-styled mansion would be complete without a library filled with a collection of rare, first-edition books? Not this one. 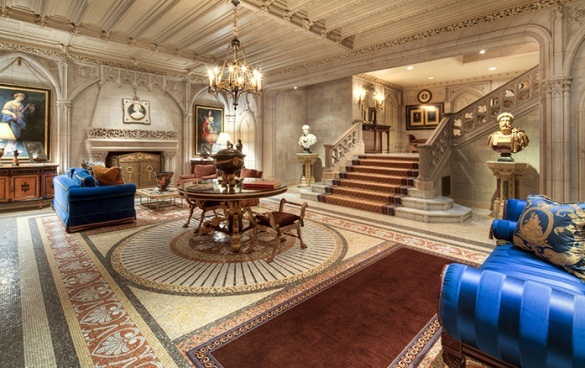 Woolworth Mansion Estate in New York, N.Y. The Rundown: Middle manse of the Woolworth Mansion built for Woolworth’s daughter swaggers with seven regal floors offering beyond-first-rate living; five of the floors are capped by stained-glass skylights that pour golden light on the gold-and-marble-filled creme-puff dream. Daddy’s little girl. 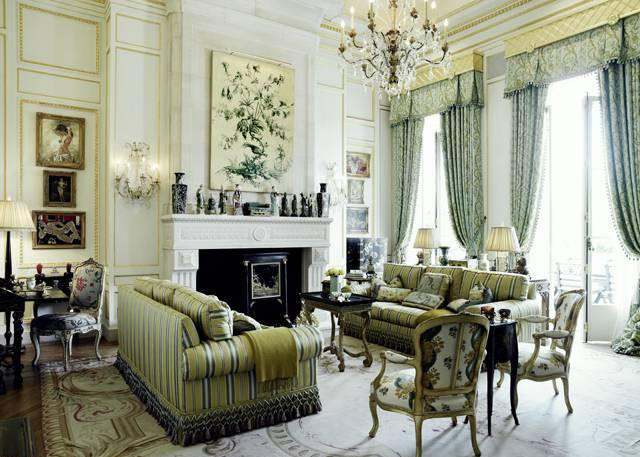 Uber-Luxe Feature: Over-the-top parlor floor with a mega drawing room and dining room give an overgilded feeling, like you just stepped into St. Paul’s Cathedral. Bradbury Estate in Bradbury, Calif. The Rundown: A 30,000-square-foot "Palladian Masterpiece" set on a promontory that offers city and ocean views. A few of the compound’s swankier features include a 3-D theater, 2,000-bottle wine cellar, poker lounge, temperature-controlled trout pond and a subterranean firing range. 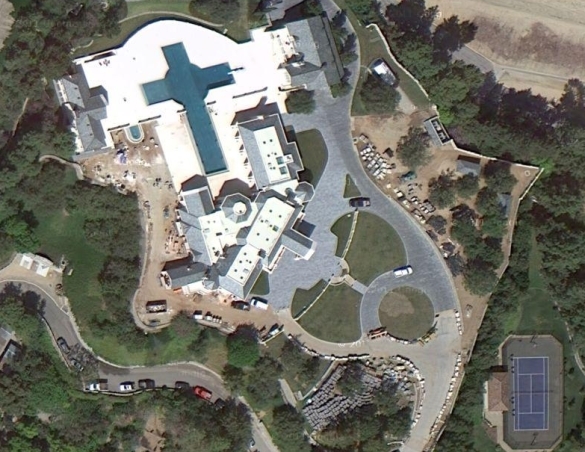 Uber-Luxe Feature: Gigantic crucifix-shaped pool. Enough said. 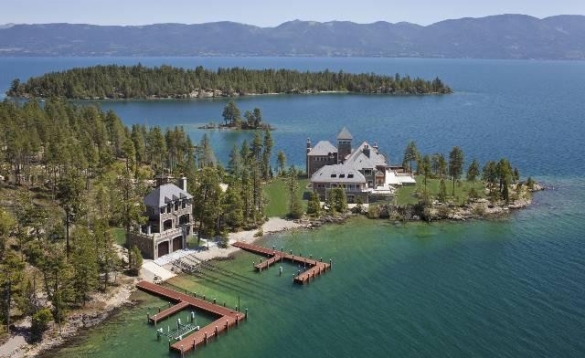 Shelter Island Estate in Flathead Lake, Mont. 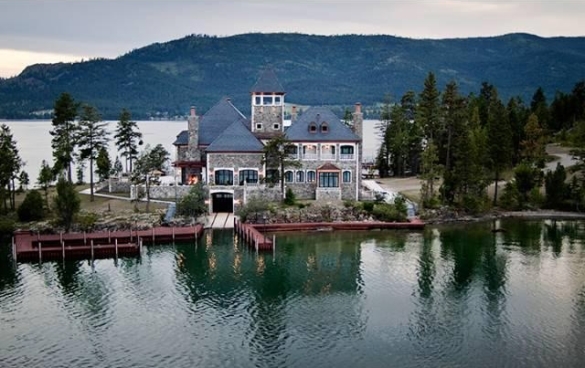 The Rundown: A magnificent, 24,000-square-foot Rocky Mountain estate set smack dab in the middle of Flathead Lake, near Glacier National Park. Heated porticos surround the home and add an additional 10,000 square feet of space, while the homeowner also claims 7,000 square feet of private lakeside frontage. Oh, and it’s only accessible by boat. Uber-Luxe Feature: A Great Room flaunts its greatness with 45-foot ceilings, second-story gallery, baronial hall with limestone fireplace, 120-inch television, and "lustrous" built-in mahogany paneling. "Euro-Inspired Hunting ‘Schloss’ In St. Helena For $25 Million"
"Moated Creole Compound in Breaux Bridge, LA Lists for $6.83M"
"Island Living: Luxury Home on Santa Catalina for $7.5 Mil"